It has been a quiet summer at Catch Basin. The Top 50 staff — those who were not furloughed last spring — spend most of their time in the company cafeteria, sipping tea and reading technical journals. The place typically empties out by 3 p.m., the techies going to their second jobs in the fast-food industry, the golfers bussing out to 30th-ranked Hillcrest Country Club for a few hours of unsupervised recreation. The basement level of the Michael F. Bamberger Computer Center is a sorry sight; the Bomar Brain sits idle, surrounded by stacks of recycled fan-fold paper. Why sugar-coat it? It’s nigh on two months since Louisville’s Big Spring Country Club, site of the 1952 PGA Championship and the 2008 Rolex Writers Cup, crept into the Top 50. Since then, there has been absolutely no movement in the rankings. 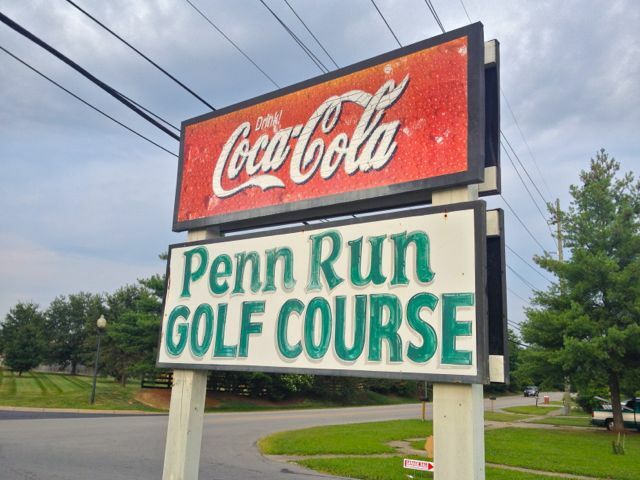 Every one of the thousands of courses we rate, right down to last-place Ft. Meade City Mobile Home Park Golf Course, is right where it was on June 24, when Big Springs replaced Pennsylvania Run Golf Course, Kentucky’s best clover-fairways layout, at No. 50. “No change — is that even possible?” I asked one of our Cal Sci consultants, Prof. Amazon V. Hachette. Top 50 on TV: Nothing this week, but the PGA Tour’s FedEx Cup Playoffs are underway at 51st-ranked Ridgewood Country Club in Paramus, N.J. Meanwhile, our crack staff of second-raters continues to file reports, even if those reports don’t move the ranking. 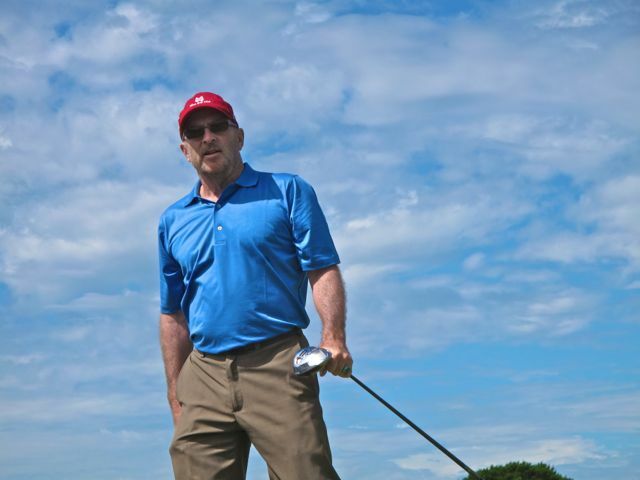 Our Heart-of-America man, Dr. Gary Abrams, performed an exhausting review of Hillcrest [Donald Ross] and 51st-ranked Swope Memorial Golf Club [A.W. Tillinghast] of Kansas City, Mo. “They’re featuring your Sports Illustrated story at Hillcrest,” Gary begins …. I was pleased that the condition of the course was better than last year, and it’s still a classic and fun. Swope was amazing. Having not played there for many years, I was blown away by its immaculate condition — as good as any country club. Uniform rough, great bunkers, greens were tiptop. Wow. Can’t wait to go back …. [Fourth-ranked] Prairie Dunes tomorrow …. Love to take you out to Shirkey Golf Club in Richmond, Mo. Think you’ll find it a “primitive” masterpiece. Chet Mendenhall, received a 4-1/2-star rating from Golf Digest and is currently ranked No. 304 on our list. Hey, John: Just played Narin & Portnoo Golf Club in County Donegal. Liked it a lot, never noticed that it was just 6,000 yds from the middle tees, only 6,200 from the tips. Lots of gorgeous holes, a huge beach the equal of Portsalon Golf Club’s. An unfortunate caravan park marring #17 and the first tee, but, you know, Loretta Lynn’s got to live somewhere. Fun, challenging. I walked onto the Old Tom Morris course at Rosapenna Golf Resort at 8 p.m. for some evening golf and had giant fun. Very traditional old links, flat mostly, surrounded by large dunes. The evening light made it memorable. If you’re keeping score, Narin & Portnoo, Portsalon and Rosapenna’s Old Tom Morris course and Pat Ruddy-designed Sandy Hills links are currently ranked — some would say stuck — at T117. Let me know the next time you send the remaining staff on another junket to the Bluegrass State. We have several T-51 worthy candidates here in Lexington for which I’d be happy to provide absolutely worthless background and trivia.